Location – This is tricky to find and is on private land, across the road from the main complex. 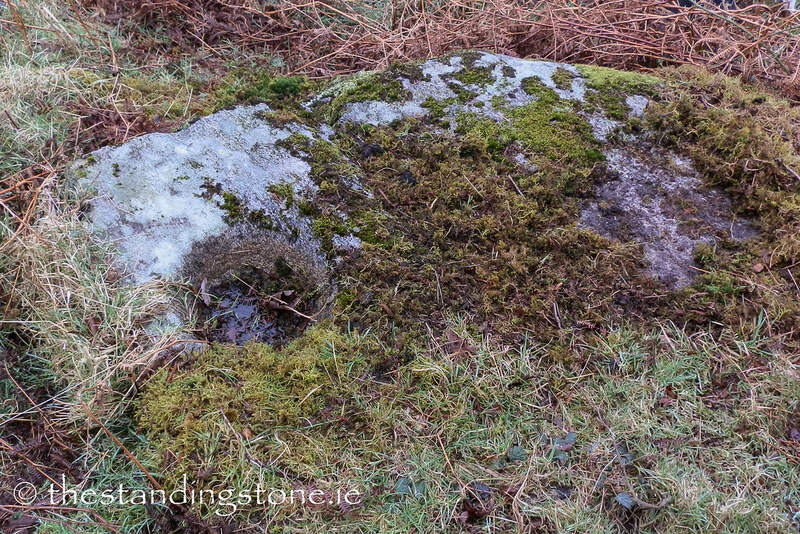 Description and History – This is quite a large bullaun stone and somewhat unusual as the bullaun is carved into a raised area of stone that appears to have been carved in relief. I have seen several older pictures of this stone when it was less grown over. Unless looked after this stone will disappear. Difficulty – Hard to find and the field can be boggy and full of cattle.